Another blood-themed event is rocking Sydney. This time the zombies are even more grotesque! On Saturday October 29th 2016 at 3:00pm all tombs and basements will be empty. 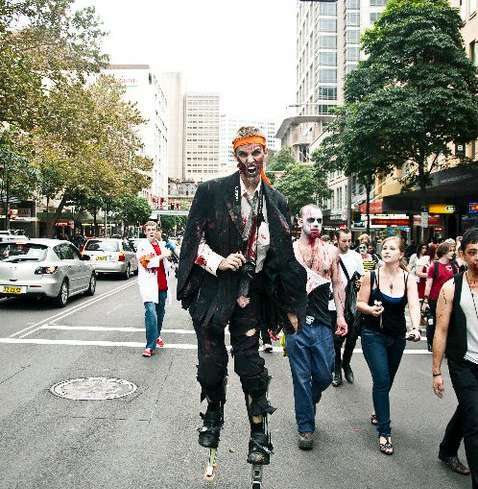 The skulking zombies will hit the streets of Sydney from Belmore Park. 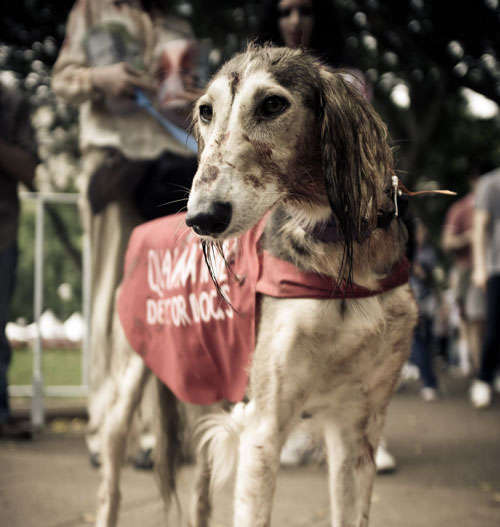 The Sydney Zombie Walk is an annual event held in Sydney, Australia to raise both awareness and money for Australia’s Brain Foundation. To participate, one has to register in advance and this entitles the entrant to some exciting zombie-related giveaways. 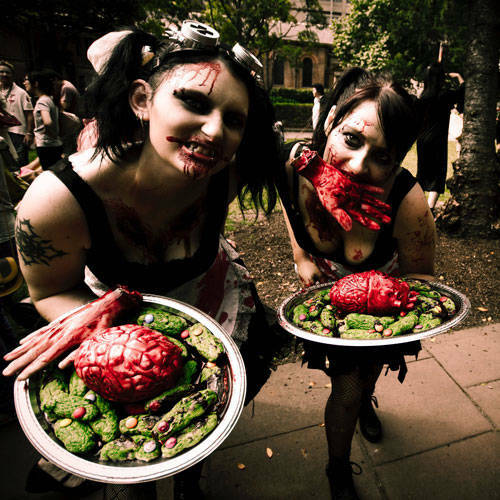 Australia needs fresh minds and clean brains and there is no better way for you to contribute than to join this year’s zombie walk to support Australia’s Brain Foundation. 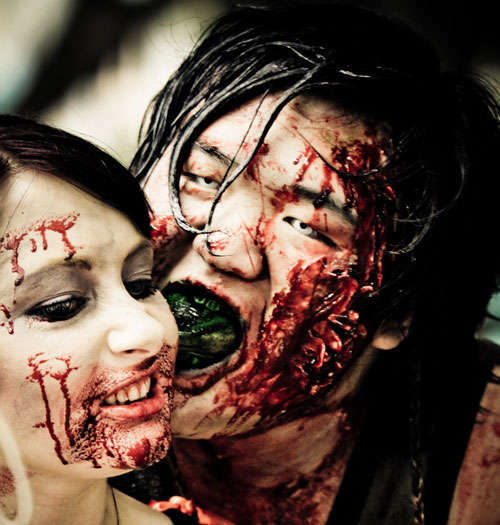 Once registered, start preparing the scariest zombie makeup ever. This year you should make a few people collapse at your sight! There will, of course, be makeup artists at Belmore Park, but you’ll need to reserve your spot online as they get very busy. If you need some blood, consider a bottle of chocolate sauce and red food dye; a blend of these makes the best blood ever. But don’t smudge yourself at home, as travelling to the park could be tricky.